Gorgeous Platinum Diamond semi mount. Shown with a 1ct center diamond (not included) simply email for center diamond inventory price list. 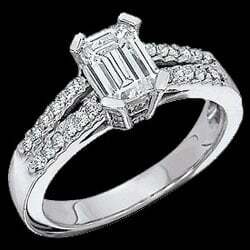 Lovely ring holds 3/8ct tw princess cut SI clarity G-I color diamonds. 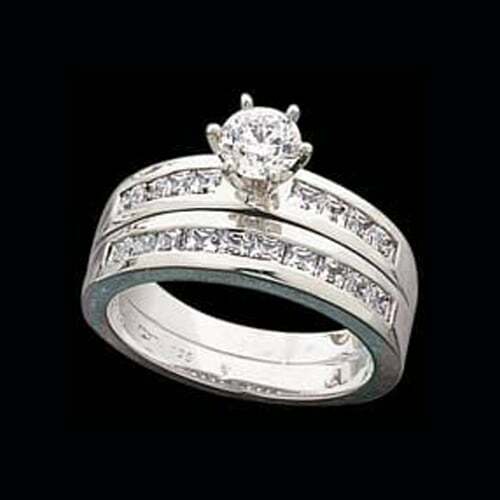 Price is for the engagement ring, matching band also priced and listed. Matching band holds 1/2ct tw princess diamonds sells for ONLY $1799.99. You will Love the quality of these incredible rings.